What the heck is a Dutch Door anyway? 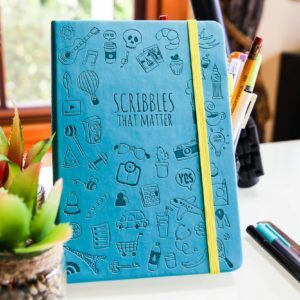 When it comes to the Bullet Journal community, it’s almost like we have our own language. One of these phases is a Dutch Door. 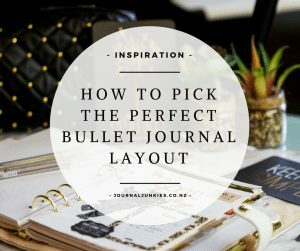 While my auntie assumed I was talking about stable doors (of which, I’m sure, there are some beauties), when I talk about Dutch Doors, I’m referring to a bullet journal layout-building technique, which affords you more space within any particular spread. 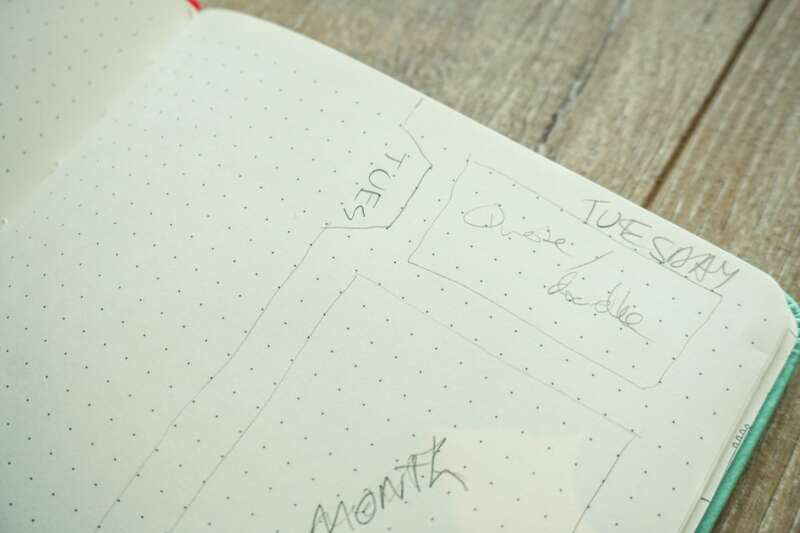 By cutting out sections of your pages, you can create a door-like mechanism while still maintaining the integrity of a calendar spread – allowing you to still view a whole week or month on two open pages, but giving you more room to write down important details. 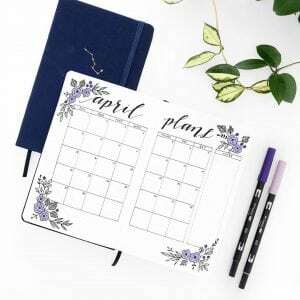 Have you ever got caught wondering whether you want to plan monthlies, weeklies or dailies in your Bullet Journal, but have struggled to decide? 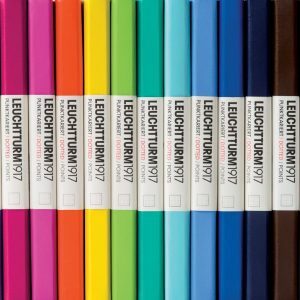 For example, you want to be able to see a whole week at a glance, but also want enough space to keep more detailed daily spreads, as well. 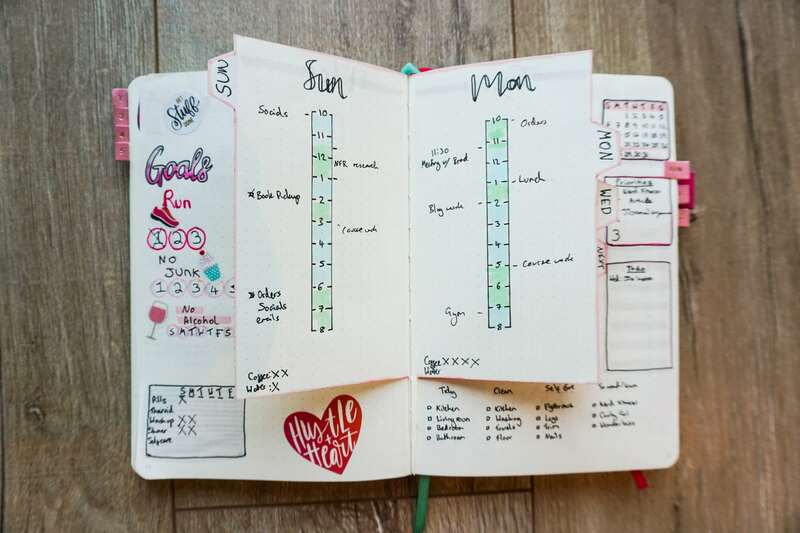 Or you want to include a calendar for your month, but also want space to write goals, task and habit trackers on the same spread. The Dutch Door system gives you more paper space within your spreads! It’s so genius! 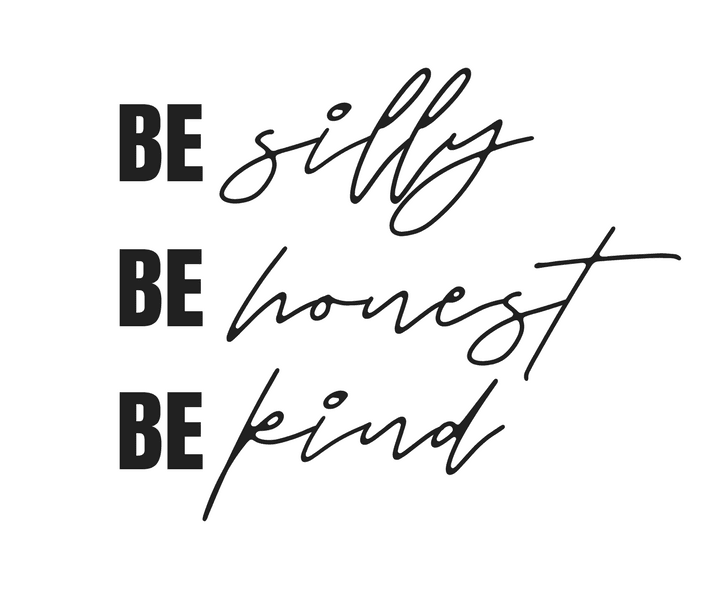 I can’t find where the idea first originated from, but some great Dutch Doors have come from @the.petite.planner, @plansthatblossom and Miss McKenna’s Life Leverage. 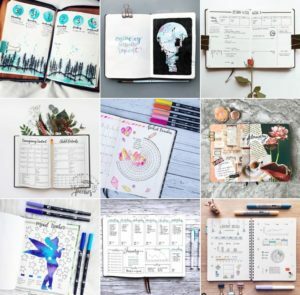 Like anything in the Bullet Journal Community, inspiration is taken from all over the world – if you see something you like, use it and adapt it to fit your own life! 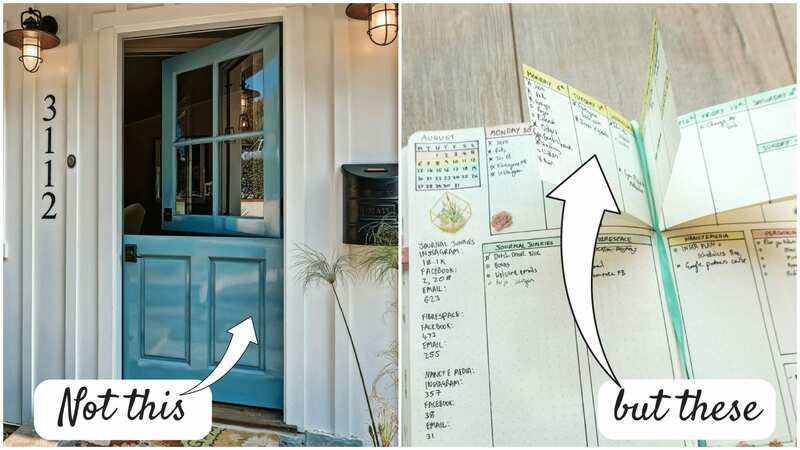 Making a spread with a Dutch Door in your journal is actually quite simple. 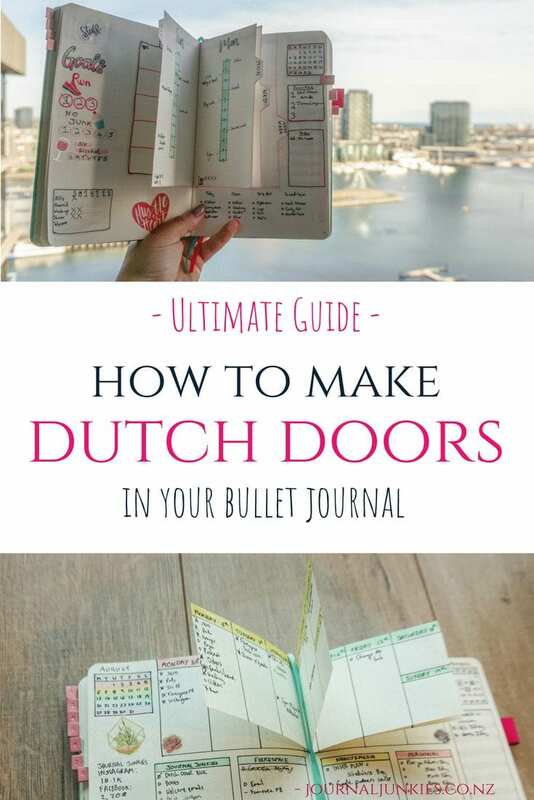 First, you need to decide on what your dutch door is going to do for you – are you going to use them to do daily journalling, track your time or for task lists? 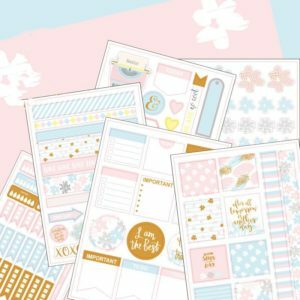 Want inspiration, guides and free printables straight into your inbox? 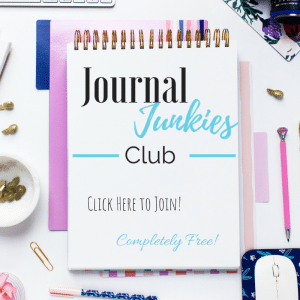 Join the Journal Junkies club! 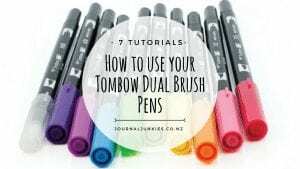 This will determine the size and shape of your doors – pencil it in. 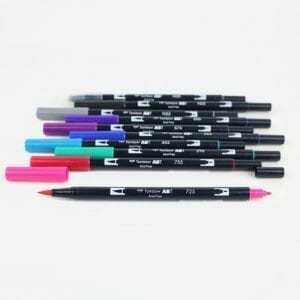 Consider what else you want to include in your spread and want to be able to see the whole time – pencil those in, too. 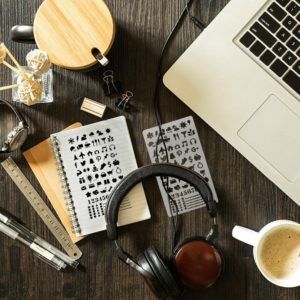 Once you have a good idea on how the layout is structured, you need to calculate how many pages you need. I literally pencil the door use (such as days of the week or different task lists) on each side of the page, outside the door template. Then go to work on cutting them out! 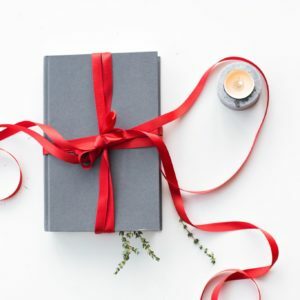 Pro tip: When cutting along the spine, don’t cut too close as it’ll damage the integrity of the book. I know it may seem a little messy having the edges in the middle, but you’ll soon forget about them when your spread is all filled in. So don’t panic if they’re bothering you after you’ve cut them out! Then fill in the spread as planned! Voila, simple! 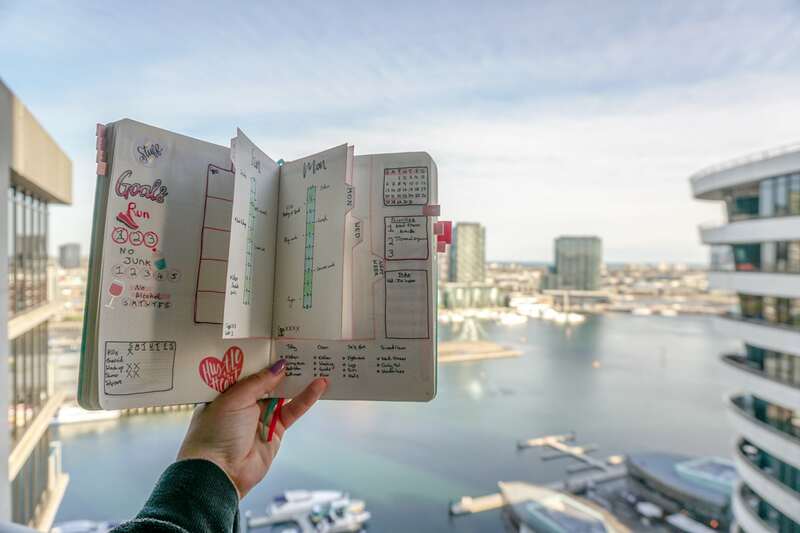 One thing we love about the evolved, crafty Bullet Journal is making layouts which really reflect us and our lives. Dutch Doors are no exception. From layout structures to the smallest of details, there’s plenty of scope to put the fun into functional and create your perfect spread. Please note, these are actual spreads I have made and used, so they’re not beautiful, but they are real and I think it’s important to share the messy stuff, too. The word journal literally means a daily record of news and events of a personal nature, otherwise called a diary. 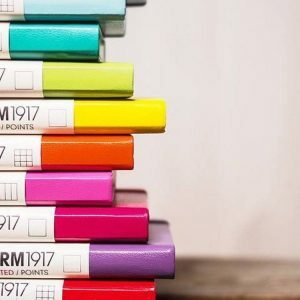 While you’ve probably grown out of the Dear Diary journalling of your youth, Bullet Journalists all over the world are incorporating their memories, or tracking their thoughts, feelings and emotions, alongside their to do lists. 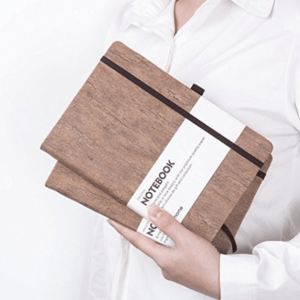 If this is something you’d like to try, the Journalling Door might be a great option. Pictured: Cut 4cm to the nearest dotted line, both top and bottom. No cut from the side. If you’re a fan of Timebars or Timeladders, you’ll know the struggle of fitting them into a weekly layout. 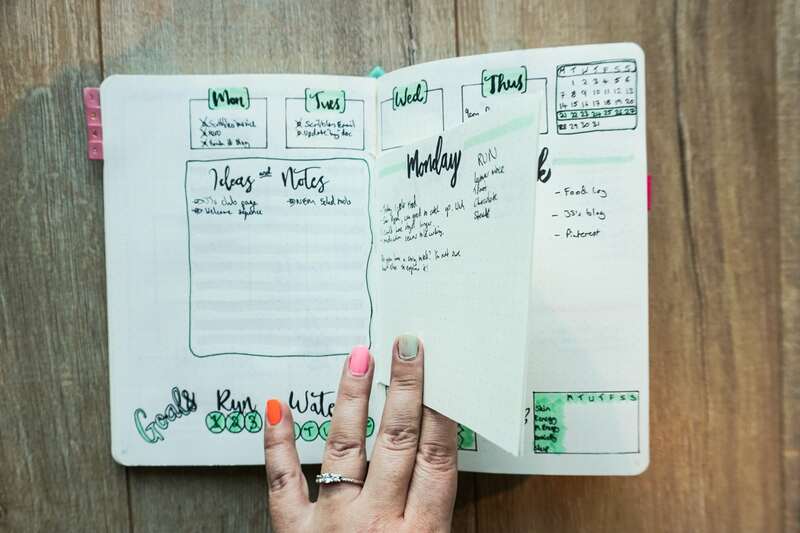 This layout allows you to see your whole week, but include the detail of timeslots for every day! 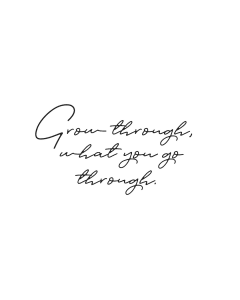 This is personally one of my favourites, because the shape means they’re also great for task lists or food logging – whatever your focus that week may be! Cut thinner to have more list-focused doors (and more room in your weekly spread for goals etc). Pictured: Cut 5cm from the bottom to the nearest dotted line, and 5cm in from the side. That’s when the weekly/monthly hybrid becomes super handy! 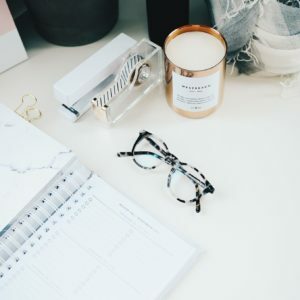 Put the weeks in the doors, allowing you to note appointments and date-specific tasks for that whole month, but use the rest of your monthly for rolling to-do lists, goals and habit trackers! Pictured: Cut 13.5cm from the bottom (or leave almost 7cm from the top), and 4.5cm from the side. 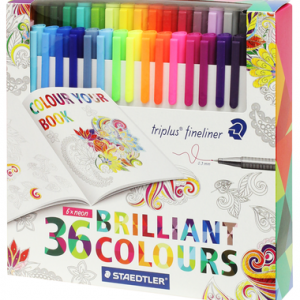 Tabs can be a very cool feature and make it super easy to flick through your doors quickly. 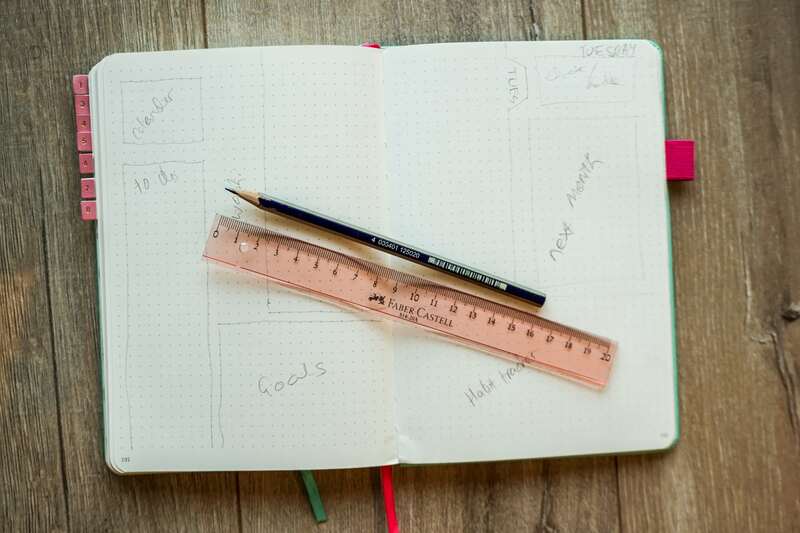 These are cut around when you’re cutting out your Dutch Doors, so make sure to pencil them in during your planning stage. The tab size will entirely depend on the size of your doors, how many you have and what you want the tabs to say. Outlining the edge of Dutch Doors can look really striking. 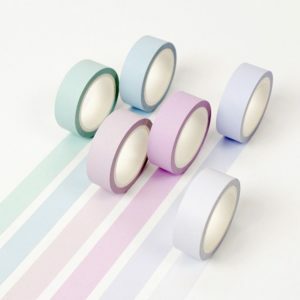 Use some paper you cut out to back behind each of the doors and line the edges with colour or washi tape! 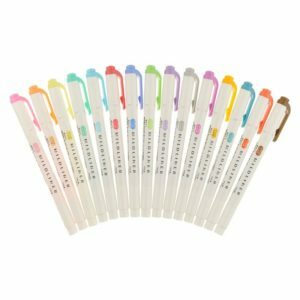 Colour coding each door can be a great way to add a mixture of colours into your spread. In the weekly/monthly hybrid above, each week is coloured on both the month-at-a-glance in the top left corner, and on the corresponding week in the doors. 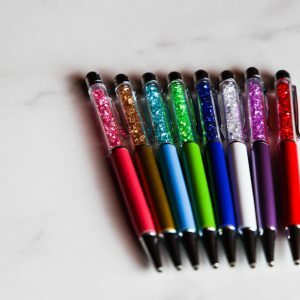 This detail has made it super easy to flick to the right week! Dutch Doors don’t always have to be about business. I love this spread by @plansthatblossom, where the front of the door is a fridge and you open the fridge to find some trackers! So cute! 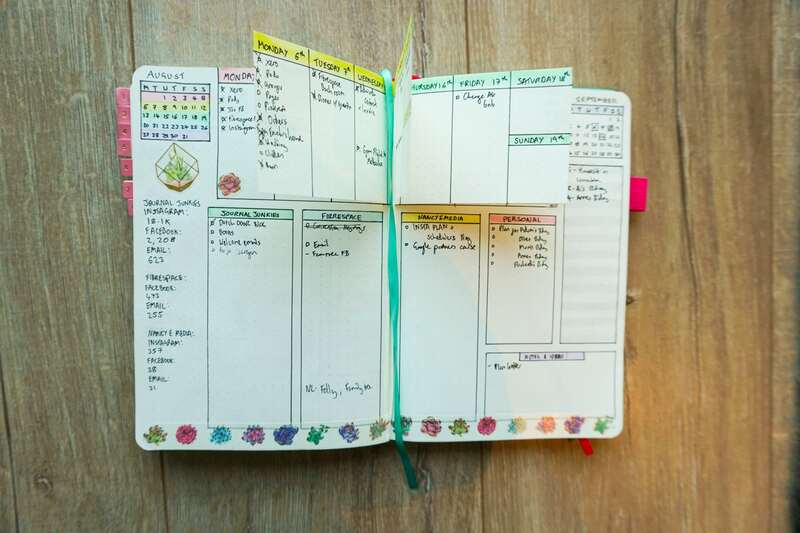 We love seeing how you set up your bullet journal! Tag us in your Dutch Door Spreads on Instagram (@journal_junkies) and use the hashtag #DutchDoorJunkie for a chance to be featured on our channel. 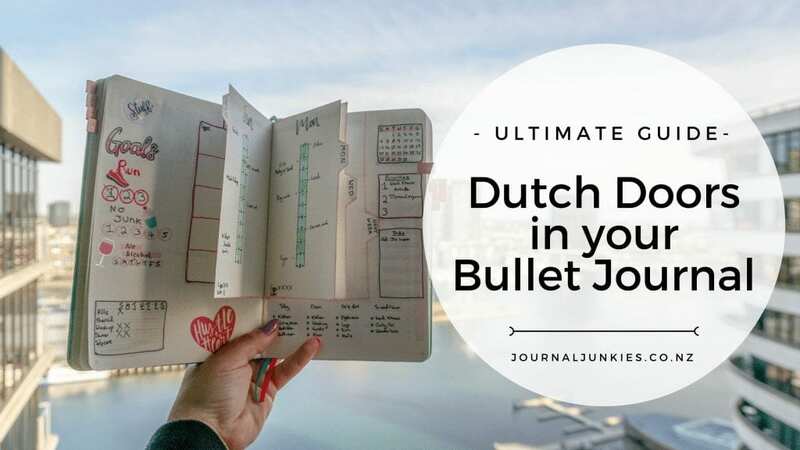 We share the best and newest Bullet Journal layouts from around the world. 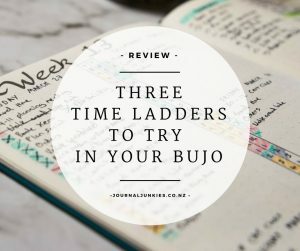 This entry was posted in Bullet Journal Guides and tagged bujo inspiration, bullet journal layout, dutch door.